"Rule 3(b) of 1965 Rules is a clear violation of right of Hindu women to practice religion under Article 25," CJI Dipak Misra ruled. "The right guaranteed under Article 25 has nothing to do with gender or physiological factors." New Delhi: The Supreme Court today ruled that not allowing women in their “menstruating years” into the Sabarimala is ultra vires the constitution, and all women should be allowed to enter the temple. A 4:1 verdict was delivered by a five-judge constitution bench comprising Chief Justice of India Dipak Misra and Justices R.F. Nariman, A.M. Khanwilkar, D.Y. Chandrachud and Indu Malhotra. The one dissenting opinion on the bench was expressed by Justice Indu Malhotra. CJI Misra read out his judgment first, on behalf on himself and Justice Khanwilkar. “The dualistic approach against women degrades the status of women,” LiveLaw quoted him as saying. He also stated that the devotees of Ayyappa do not constitute a separate religious denomination. “The bar on entry of women between age of 10 and 50 years is not an essential part of the religion,” Bar and Bench quoted the CJI as saying. “Rules disallowing women in Sabarimala are unconstitutional and violative of Article 21,” the judge said. He held that the Bombay high court judgment in Narasu Appa Mali is not good law when it comes to customs and usages. The Indian Young Lawyers Association had filed a public interest litigation challenging this practice. Arguments in the case were heard over eight days beginning July 17, 2018, though the case has been before the Supreme Court since 2006. The state of Kerala had supported the entry of women into the temple, arguing that the “custom” of excluding women violated their rights. 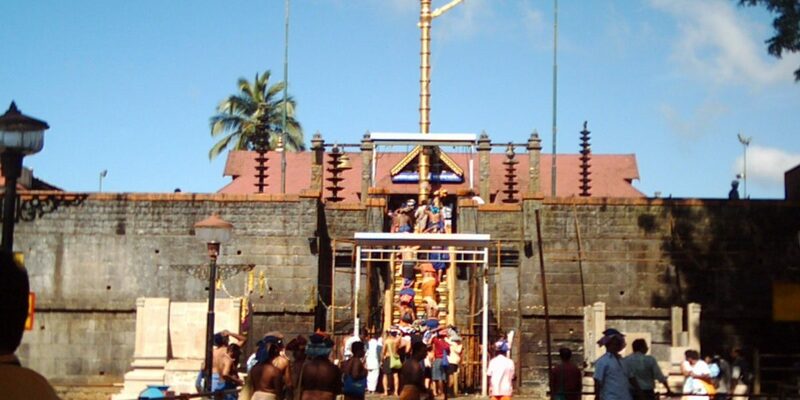 The Travancore Devaswom Board had supported the custom of not allowing women into the temple, saying that temples across the country do not allow women who are menstruating. The Ayyappa Seva Sangham had argued that the court has to find a way to uphold this custom so that other “similar customs” are not disturbed.